If you want a good variation from tomato sauce or store-bought pesto, I’d suggest making this. It’s raw, vegan, gluten-free and fast to make—pretty much a health nut’s dream. I got this recipe from a food blog called Oh She Glows, and it turned out great. It’s simple but packs a lot of flavour, and has nutrients like potassium and B-vitamins. Pesto is normally used for pastas, but it can be used as a spread or dip for tons of other dishes too. Especially because this pesto is way less salty than store-bought brands, you can use it on burgers, sandwiches or dip your veggies into it. 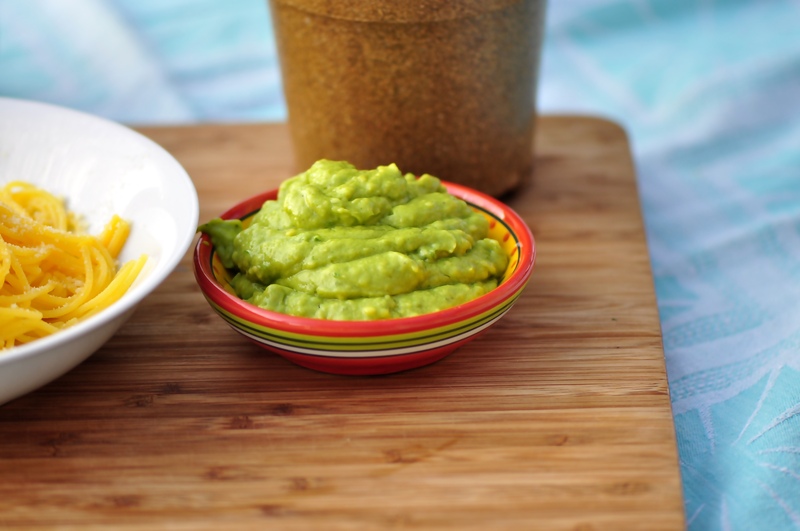 The only downside to using avocado is that it browns quickly, so it needs to be eaten within the hour of making it or it will begin to brown. I used a gluten-free corn spaghetti this time around, and if you’re Celiac or gluten intolerant, I suggest this instead of rice pasta. Rice pasta gets sticky and can get this sort of “gummy” texture which ruins the whole dish, whereas once I put the pesto on the corn pasta, I couldn’t even tell the difference. In a food processor, add garlic, lemon juice and zest, and olive oil. Process until blended. Then add in avocado, basil leaves and salt and pepper. 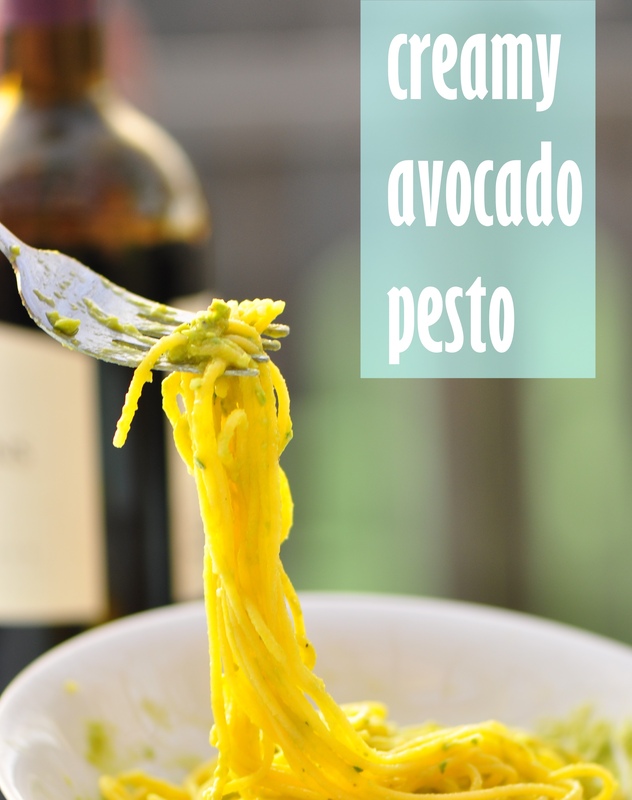 Blend until smooth and creamy, and serve immediately over spaghetti, burgers, or whatever else you want!